the other day the girl noisemaker out of the blue says to me "i want to do what you do." i looked at her and a whole avalanche of things that i do in the day flooded my brain at that moment. what exactly was she talking about. i think she must of looked at my confused face and then said "you know with fabric? i want to do that with fabric too." "one of these days we'll do it k?" hello she's 6.
me "ok, well i can't RIGHT now, we have to make dinner, but soon?" that did not go down okay but it did buy me a few days, till the third boy noisemaker (who is 8) came up to me and says in front of the other three "hey, i want to sew." what the crap is going on here. two of them in the span of days asking to learn to sew. i gave him a skeptical look to which he said "please? i'm not kidding i want to sew something." "yeah mom, i was supposed to make my own quilt last summer. what happened to that?" the second noisemaker says. the third noisemaker is just chuckling as he looks up from his book. so the kids have been sewing on betty. 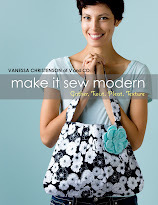 yes, i want them to learn on a bernina, cause personally, when i upgraded to a bernina from my first sewing machine, i felt like i became a better sewer over night. and the last thing i want for the kids to feel is frustration like i did when i started to sew and walked away from it for so many years. yeah she's hot. not cute. so bernadette is her name. okay, fine. so we started the process. i thought it was going to be a gray hair experience with me wanting to run screaming to the hills...wait i live in iowa now...running screaming to the cornfields. but actually it was all but that. the 8 year old is doing pretty good. the 11 year old is doing excellent...can do it without my guidance. and the 6 year old is planning skirts to make for her dolls. :/ uh...not my forte kid but we'll try. the almost 13 year old has picked out fabric for his quilt...all before he even touches the machine...well i guess that's one way of learning. bernadette and i have been getting ourselves acquainted with piecing and quilting a new pattern (coming soon) and piecing 2 more patterns as we speak also coming soon. but not if i keep stalling so back to sewing i go. Labels: bernina 580, bernina sewing computers, modern quilting, my crazy kids, ombre fabric, parenting my style, simply color by V and Co.
You may have a family business in the future. Men can quilt too. Must have been a planet alignment thing. My 6 year old grandson sat at my Pfaff over the weekend to make some quilted pot holders for his mom. Super cool! I learned to sew on my Mom's Singer that is like 40 yrs old. That thing sucked! It only worked properly for her, I wasn't sad when it started dying. So happy to hear your children are interested in what mom does. Very exciting. My oldest daughter is moving back in with us, and she asked if I'd teach her how to quilt. I was thrilled! And I have two Berninas sitting opposite one another. Great machines. This is so fantastic. I'm so proud of you for letting them get started - not an easy thing to do. You are a great mom. Keep up the good work! I learned to sew from my mom when I was little. I remember sewing Christmas ornaments by hand cranking because I wasn't old enough to use the pedal...probably 4? I try to do projects with my kids. It's easier for me to sew with my 5 year old than my almost 8 year old just because of temperment and attention to detail. I think it pays off in the end, though. Yay! Congrats on Bernadette! Have fun!! How wonderful for you to be able to share your passion with your noisemakers! Already told the kids they better watch out, I'm not afraid to use their talent!! Nice! Potholders...maybe I could get them to sew up their teacher presents!! Agreed! Berninas are wonderful. Bet you will have some nice bonding time with your daughter!! Well, thank you! I figured I better start while they are totally interested!! Yes, my 11 year old has a very attentive personality, he was doing it on his own before too long. The 13 year old...not so much :) we'll work on it!!! Oh how fun. That's awesome that they all want to learn to sew. Have fun with your awesome new machine. I bet that's a lot of fun to play with. My son has been wishing a sewing machine for over a year now, and he's only 4... I'm tempted to buy a machine for kids for Christmas. But then, I learned to sew on my mom's Pfaff and then had a cheaper machine before I got a Pfaff of my own. 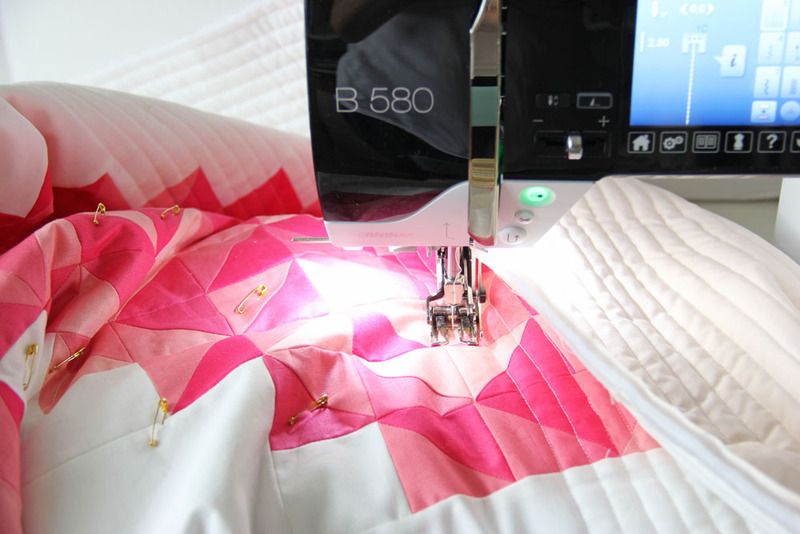 To sew on a good machine really makes a difference, and you learn faster. Congratulations on your new Sewbaby! 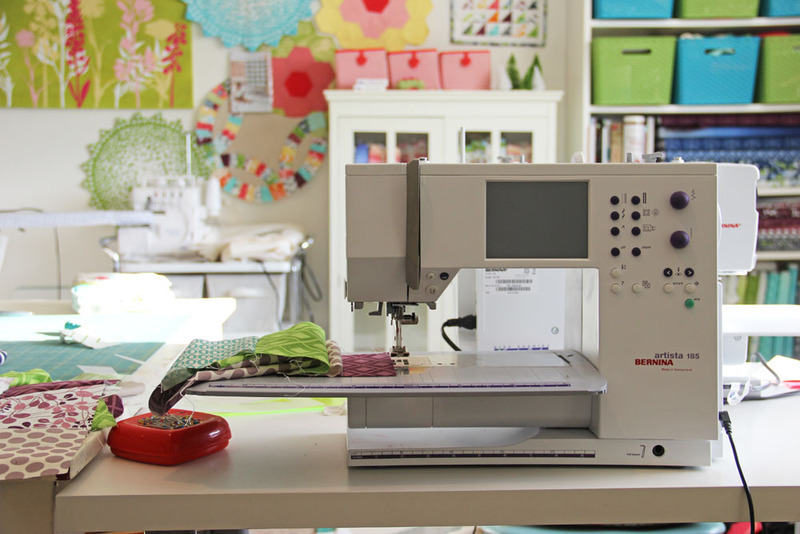 Your story about sewing with your kids makes me feel warm/fuzzy/guilty/conflicted all at once. I have only sons, and the older one is very artsy and creative and he has asked to sew numerous times over the years. But I've just had one -- very expensive Bernina -- sewing machine, and have been reluctant to let him tinker with it. This is the wisdom of experience, since my boy has reprogrammed my cell phone, our television Tivo, and any other electronic gadgetry he can get his hands on! I looked into buying him a child's/beginner sewing machine of his own, but the only one I could find that wasn't pink or flowered (!) was a Pottery Barn Kids sewing machine that even I could not get to sew in a straight line, so back that went. I wish the sewing machine companies would wise up and put out some well priced, gender neutral sewing machines for children! That is awesome! I can't wait until my tot is a little older so I can teach her how to use the sewing machine. At 4 she really can't do it by herself, although I have had her press the "go" pedal for me while making stuff for her. The little peek of your sewing area made me want to see more! 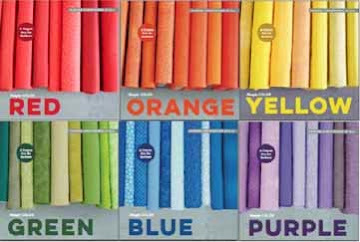 I would love to see how your fabric stays organized. Nevermind that I don't HAVE a Bernina Activa to put this on! But you might be able to design a custom skin decal for Betty, incorporating whatever makes your kids feel special. They say you could even upload family photos, the kids' artwork, whatever, and the skins peel off easily when you're tired of them. Pretty cool. My dad is 81, and he was raised by his grandmother on the family farm in rural Iowa. She taught him how to embroider, crochet, and sew on her ancient Singer treadle machine during the winter, when he and his bother and sister couldn't play outside. He has always mended his own clothes, and sewn all kinds of boat/motorcycle covers. (Think about it---why wouldn't a boy like a sewing machine? It has a motor.) Even if your sons don't really take to sewing, I think it's a good, basic survival skill for them to have. I wish my dad had taught me more "guy" kind of home maintenance stuff when I was growing up, like how to fix a faucet or oil my furnace blower. Check out 3Dudes Quilting in Phoenix. Men are great at quilting! It is really a good thing that they are learning. I taught my three - girl,boy,girl @ 10, 8, & 6. The girls are now both quilters and the boy can still sew although he hates to admit it because his wife wants him to do the family mending. 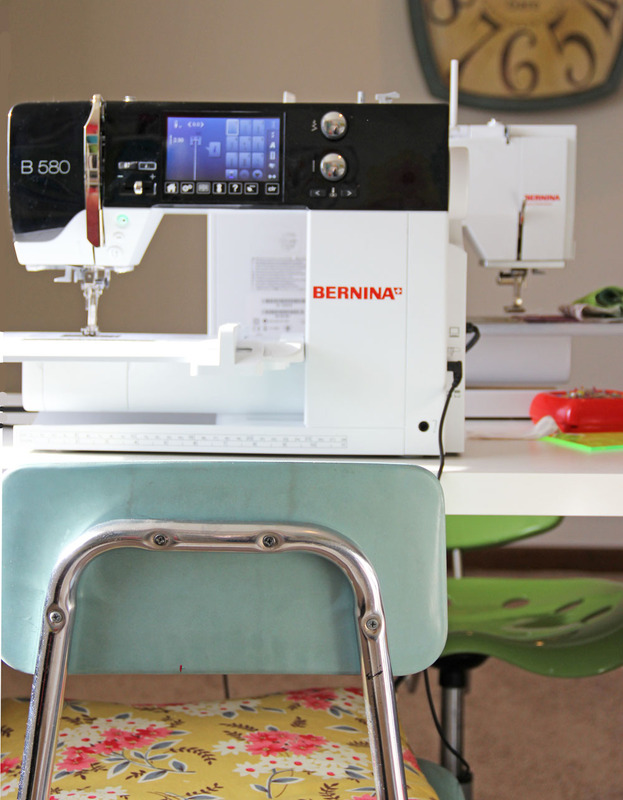 The girls and I all have Bernina's. Mmmm...actually I have two and I will not part with either. The Bernina dealer loves us. I LOVE THE 580! I sell BERNINAs and by far this is my most fav one! Congrats!